The Christmas Cracker Trap is a Limited Edition Physical type weapon. All those gifts from the twelve days of Christmas, and not a single trap among them. . . Santa just doesn't understand Mouse Hunters. Oh well, never fear! Candy canes, reindeer antlers and Christmas lights all make great projectiles! Just stuff them in a giant cannon, pull the string, and voila! Instant present gratification. Now where's all that fruit cake from last year? 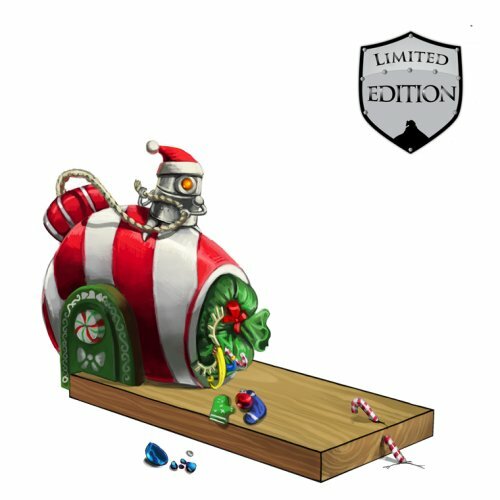 The Christmas Cracker Trap is a Limited Edition weapon and can no longer be acquired by Hunters. It could only be obtained in exchange for the twelve items found during the 12 Days 'til Christmas portion of the The Great Winter Hunt '09. The Christmas Cracker Trap acquires a 20% Power Bonus when armed with Snowball Charms. When the Christmas Cracker Trap was first released, there was a minor error in the link to claim the trap where the weapon's cheese effect is displayed as "No Effect" when it is actually "Very Fresh". This has since been rectified. 13 December 2016: The Christmas Cracker Trap gained a 20% power bonus when armed with Snowball Charms. This page was last edited on 13 January 2019, at 13:11.